The Central Office is pleased to announce the appointment of Ken Tubbs as director of risk prevention and education. In his new role, Tubbs will assume primary responsibility for the Fraternity’s risk management program including education, investigation and sanctioning. He will also retain his responsibility for the Fraternity Awards and Accreditation Report (FAAR). He will begin his new duties May 8, 2017 and report to Chief Operating Officer Jack Kreman. Looking at the future staffing needs of the Central Office, it became clear the Fraternity required an individual whose primary focus would be the risk management program. More and more community and university constituents require an enhanced response to manage risk management situations. Tubbs brings nearly seven years of experience in risk management. 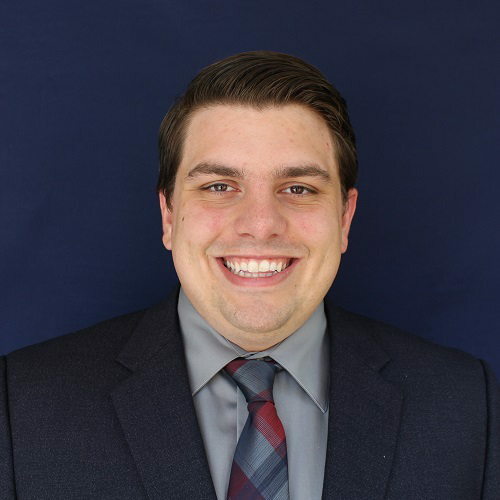 Tubbs, a 2011 graduate of John Carroll University joined the Central Office as the director of chapter management in June 2014 and was promoted to director of chapter services in May 2015. His primary responsibilities were to oversee the chapter consultant program, to ensure undergraduate chapters receive the necessary support and guidance from the national level, to assist with the implementation of the Fraternity’s risk management program and to handle general chapter service requests. Prior to this role, Tubbs served as a chapter leadership consultant during the 2011-2012 academic year, traveling much of the Northern Division. As an undergraduate, Tubbs served as director of risk management, president and IFC president. Tubbs graduated with a degree in classical languages with an emphasis in Latin. Tubbs completed a master’s in education with a focus on higher education administration from Kent State University in May 2014. During his graduate work, he served as chapter advisor of the Iota Iota Chapter at John Carroll University. His hobbies include baseball, reading and eating Italian food. Kreman will immediately begin the search to replace Tubbs as director of chapter services. Any interested and qualified candidates should contact Jack at jack.kreman@delts.org.